Is There A Mouse In My House?? Mice leave their excrement and urine anywhere they go. This could mean unhealthy consequences if the mice are traveling in your kitchen. Mice need to chew daily to keep their teeth down to useable size. Mice are known to chew through wires and other things in your home. They’ll eat your food, candles, soap, things in storage in the attic, etc.. 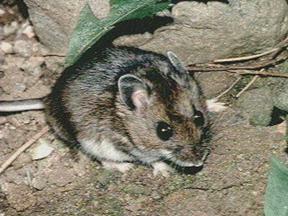 The Deer Mouse is the type of mouse that carries the Lyme Tick which carries Lyme disease. 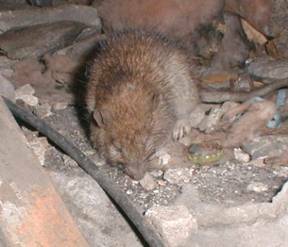 During Tick season you are at risk in your own home if mice are present. This is also the kind of mouse that carries the deadly Hanta Virus. You may have heard of Hanta Virus. 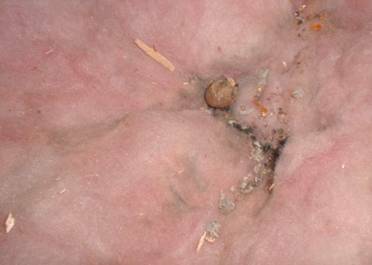 It is a disease that you get from breathing dust contaminated from feces or urine of a mouse carrying the virus. Though the disease is very un-common, if you did contract it, the health ramifications are very significant. 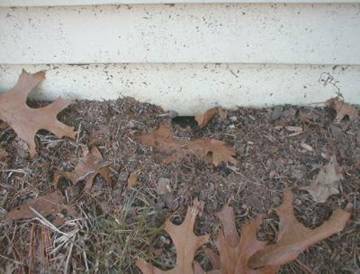 Here are some signs of mice infestation. Here’s the entry for mice to get into this house . This is a mouse hole at the inside of the bulkhead. There’s no question what did this. Mice will chew through almost anything to get to food. Mice chew just to keep their teeth down to a useable length. They’ve been known to start fires by chewing wires. Here in this attic you can see that a mouse shelled an Acorn. Acorns are a staple diet for mice. 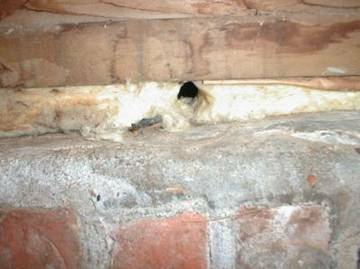 Since Mice often do bring Acorns all the way into an attic, they may not need your food, just your shelter. 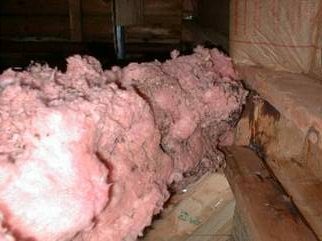 Here we lowered the insulation to find mouse trails, mouse droppings, urine and filth. Small Rats look like Mice. It pays to know the difference. We take care of mice and rats! Our technicians will walk the perimeter of your home and check for entry points for the mice. 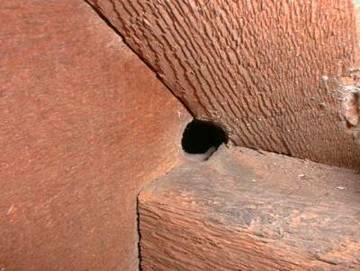 Mice can get into holes the size of a dime. He will plug up a couple of holes but if there are too many or if they are too large he will point them out to you and recommend a handy man. The technician will then come inside and set traps. He will come back for a minimum of two more visits to check the traps and reset them.